It was during a shopping trip together that my neighbor told me about this recipe that her mom makes. Dried beans,brown rice and mixed vegetables cooked like a soup in pressure cooker and served hot with salt and pepper. A light, yet filling and healthy, dinner for the whole family. I picked up all the needed stuff for the recipe and back home I realized that it is a very close version of the French soup – Soupe au Pistou. 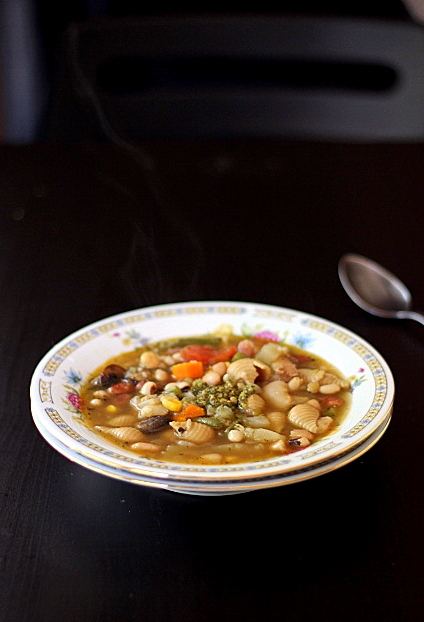 This soup also has a mix of vegetables, dried beans and pasta (or even rice) in it. The only difference is that at the end, you add a spoon of Pistou (its Pesto minus the nuts) which adds a good flavor to the soup. Well, the pistou soup has to use some pistou in it, right!? The recipe here, is adapted from Dorie Greenspan’s book – around the French table and I know I am going to try the version with rice as well later! 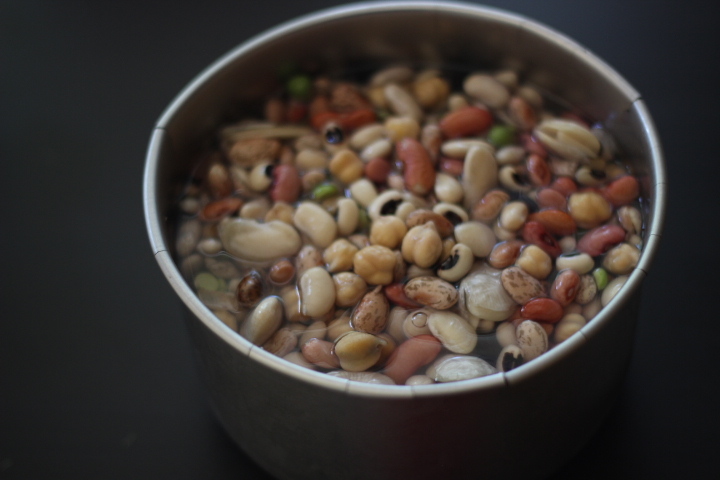 Soak your choice of beans overnight or at least for four hours until the beans have doubled in size. I used one cup from the 16 bean soup pack. 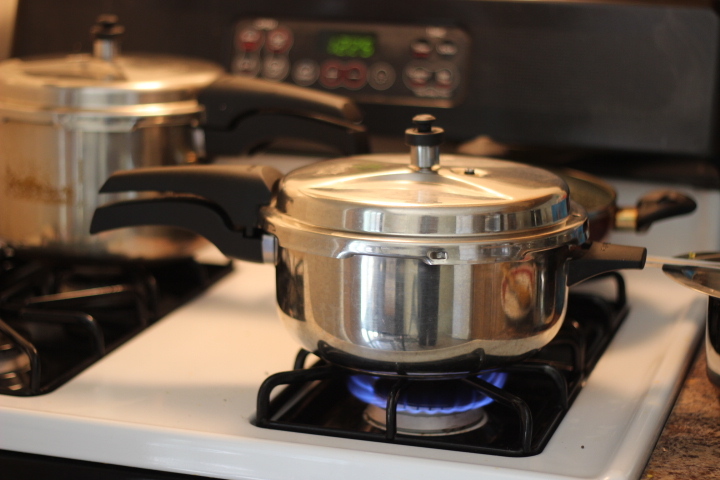 Heat 1 tablespoon olive oil or butter in a pressure cooker or a thick bottomed pan. 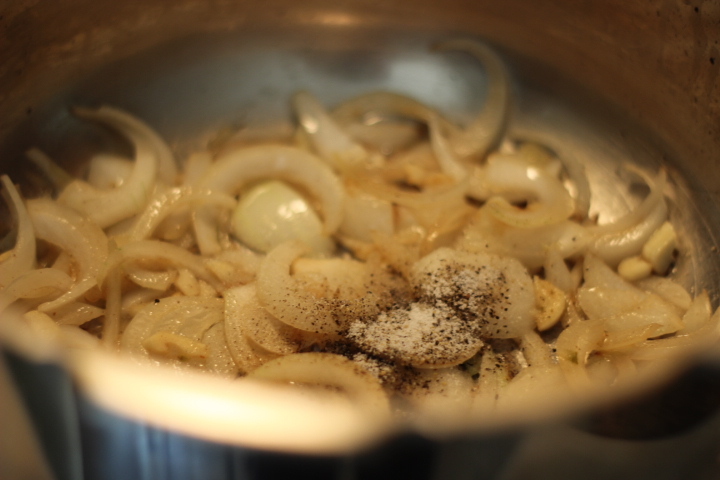 Add four minced garlic pods and one sliced onion and saute until the onions turn soft. Season with salt and pepper. Cut 1 carrot, about 10 french beans and one small potato into slightly big pieces. The choice of vegetables is up to you. 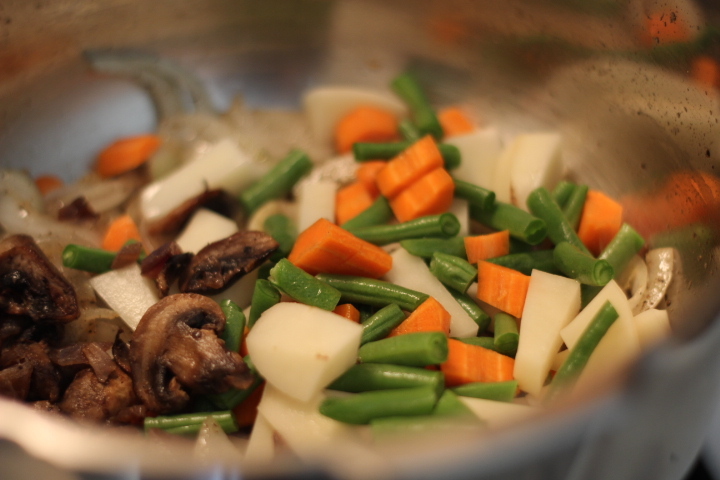 Once the onions are cooked, add the vegetables. I had some sautéed mushrooms as well to be used up, so that also went in. 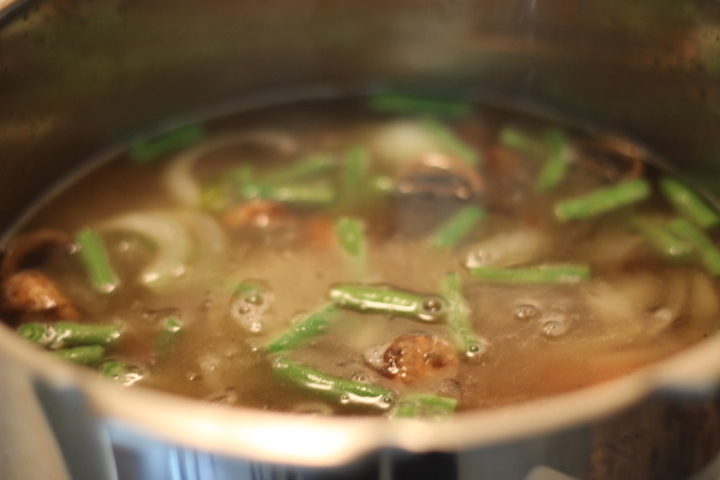 Add about four cups of stock or water. Follow this up with 1/3 cup pasta, one cup of soaked beans, one tomato diced and 1/2 cup corn. Check the seasonings and adjust as required. 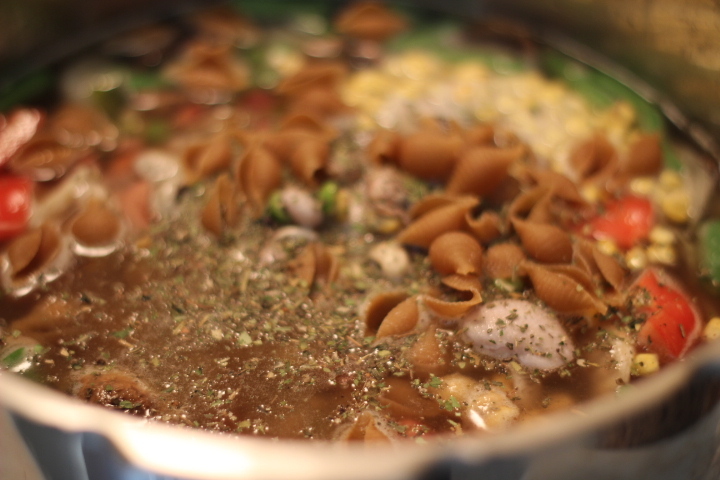 Add 1/2 teaspoon of dried Italian herbs ( I didn’t have the fresh ones in hand). Pressure cook for one whistle or cook in low flame until everything in the soup is cooked well. Once the pressure drops in the cooker, serve hot in a bowl with a spoonful of pistou (pesto without nuts). 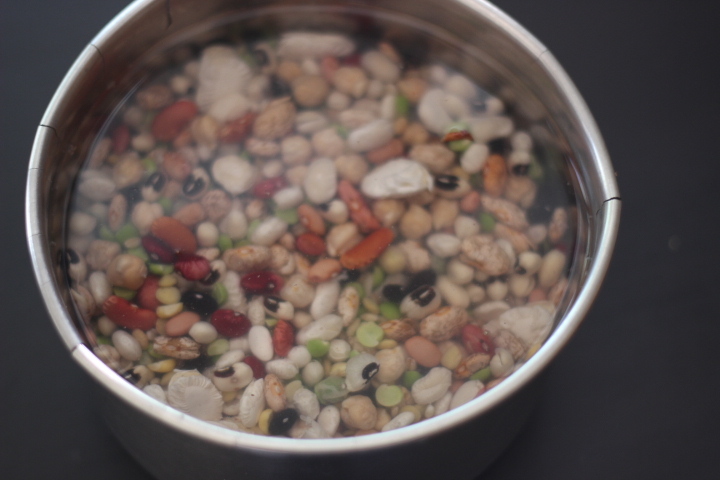 Soak your choice of beans overnight or at least for four hours until the beans have doubled in size. I used one cup from the 16 bean soup pack. Cut 1 carrot, about 10 french beans and one small potato into slightly big pieces. The choice of vegetables is up to you.Once the onions are cooked, add the vegetables. I had some sautéed mushrooms as well to be used up, so that also went in. That looks like a healthy and hearty soup! Very nicely captured and sounds so filling! 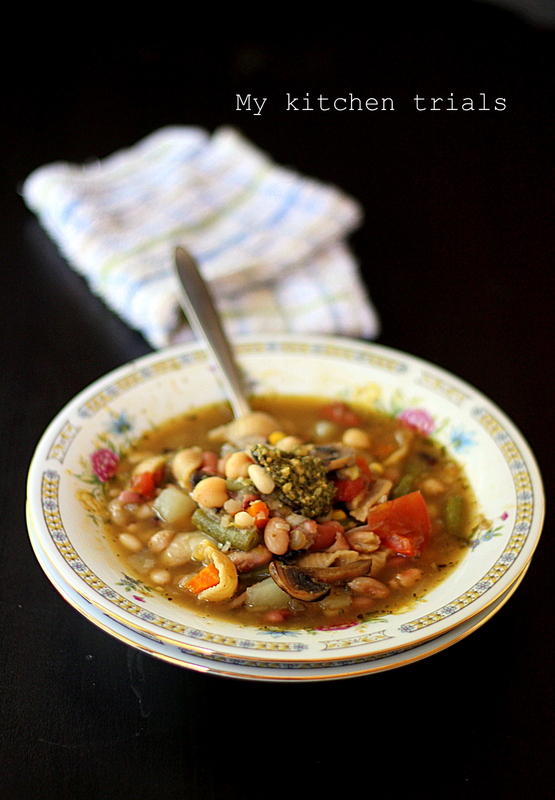 Such a hearty & nutritious soup – making in the pressure cooker makes it so convenient. Love your clicks. Very filling and scrumptious soup.